You may not realize it, but we are constantly surrounded by heavy fabrication projects. Below are some examples of these heavy fabrication projects you’ve likely passed on your way to work. 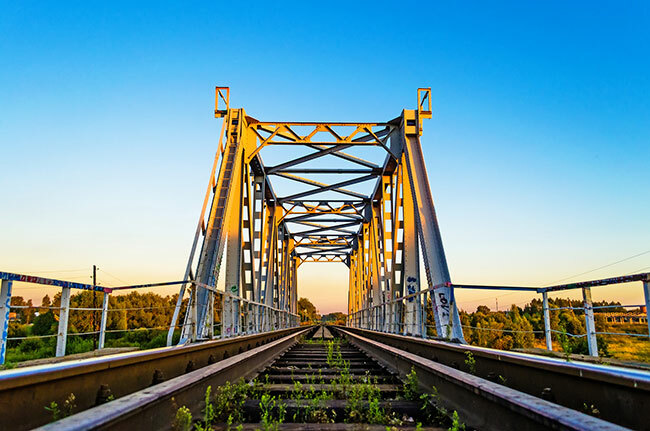 Large portions of railroad tracks and railroad bridges are created using heavy metal fabrication. These structures are typically made of steel to withstand the pressure and weight of any size train car. Many of the structures and equipment used at power plant facilities are made through heavy fabrication. These projects develop over time, but require the most up-to-date materials and techniques to ensure their safety. Heavy metal fabrication creates large steel fan housing units. The housings are made of carbon steel that protects the fans and keeps them from being exposed to corrosive elements. These types of fan housing units can be found at large facilities like factories or power plants. Emission stacks can be used at a variety of production facilities that give off emissions. The fabrication of these stacks requires time and attention to be sure safety standards are being met. The equipment used at salt mining companies requires heavy fabrication. These products are constantly exposed to corrosive materials, so they are typically constructed using galvanized steel that protects them from those elements. Some businesses or factories have large areas on their campuses that use metal graphics. These graphics are made to withstand certain weather conditions and are created using heavy metal fabrication. Many production factories require heavy equipment to operate safely and efficiently. Heavy metal fabrication is used to meet the needs of these factories to ensure they are operating at peak production speed while creating quality products. Which Materials are Used in Heavy Fabrication? Heavy fabrication products benefit from being manufactured out of the most efficient and resistant materials. Galvanized steel is typically used when creating these everyday products because it’s the most cost-effective, and withstands the elements and other corrosive factors well. Galvanized steel is relatively cost-efficient to make. Other materials tend to cost more and take longer to manufacture. The steel is galvanized using a hot-dip process, where zinc coats the outside of the steel. Once the zinc has cured, the steel is then sealed and safe from any element exposure. Steel is easily customizable and can be painted or powder-coated. This meets the needs of many factories and businesses who may need their heavy fabrication project to fit in with their brand or company color scheme. Galvanized steel is incredibly strong and is considered the most reliable material that can be used in any heavy fabrication project. The coating is long-lasting, allowing your fabricated project to last anywhere from 25-50 years. Most common examples of heavy fabrication need to undergo routine inspections. Galvanized steel prevents the metal from corroding or rusting, allowing your inspection process to move quickly. Your inspector can address all the aspects of your fabricated project. If you need heavy fabrication, find projects in your area similar to your needs. You can discuss the specifications of the project with professionals utilizing that kind of heavy fabrication. This will give you a better idea of how to meet the needs of your heavy fabrication and the best materials to use. Businesses like Swanton Welding have undertaken many heavy fabrication projects and have the skills and technology to fabricate anything your project requires. Contact them today to further discuss your project. Their expertise will give you the knowledge you need to move forward with your heavy fabrication project, and confidence in knowing it will be done professionally.